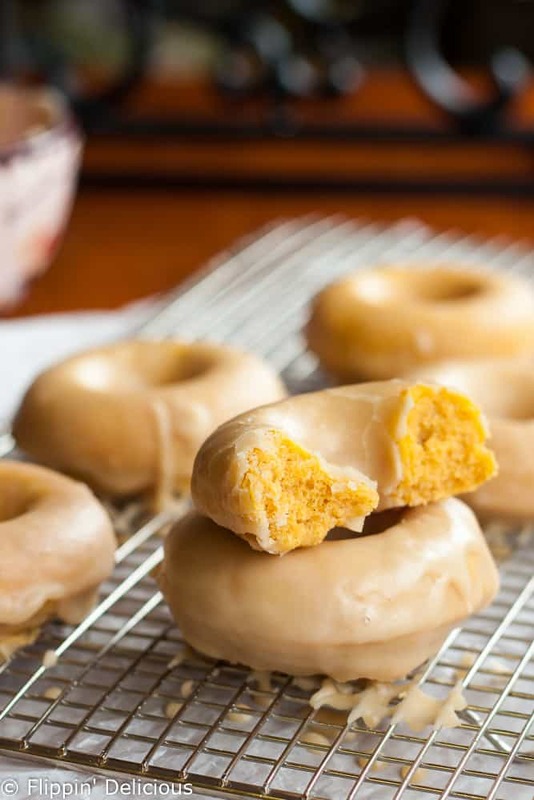 Tender gluten-free pumpkin donuts with maple glaze make the perfect allergy-friendly fall treat! 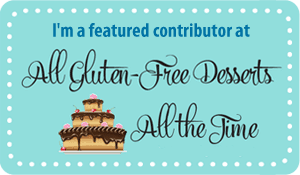 I’ve shared lots of gluten-free pumpkin baked goods over the years because it is a flavor that I just love! One of my favorite recipes is gluten-free pumpkin chocolate chip muffins; I bake them all year long! I made these fall inspired donuts a couple years ago and shared the full recipe on Instagram. How on earth did it take me this long to get the recipe up?!?! Each year a new pumpkin recipe has bumped these donuts off of my posting list, and then I forget. Last year, it was a moist gluten-free pumpkin cake and gluten-free pumpkin spice latte cupcakes. 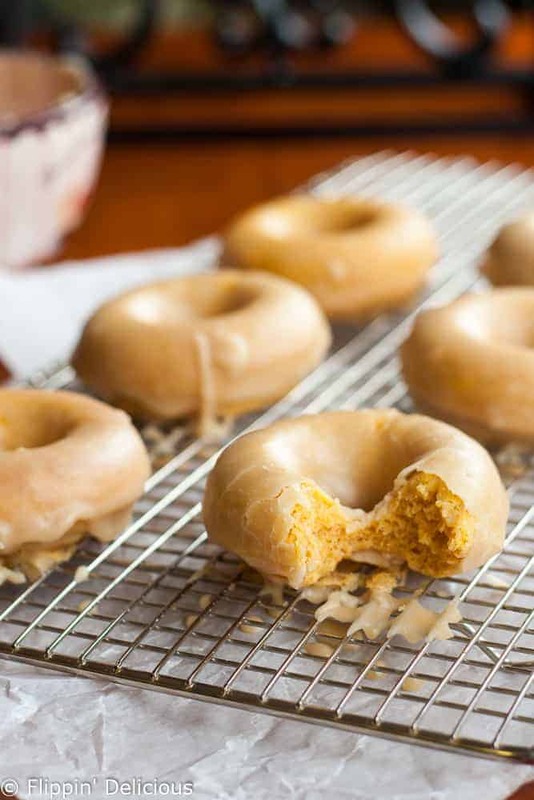 It is high time these classic pumpkin donuts get a moment to shine. 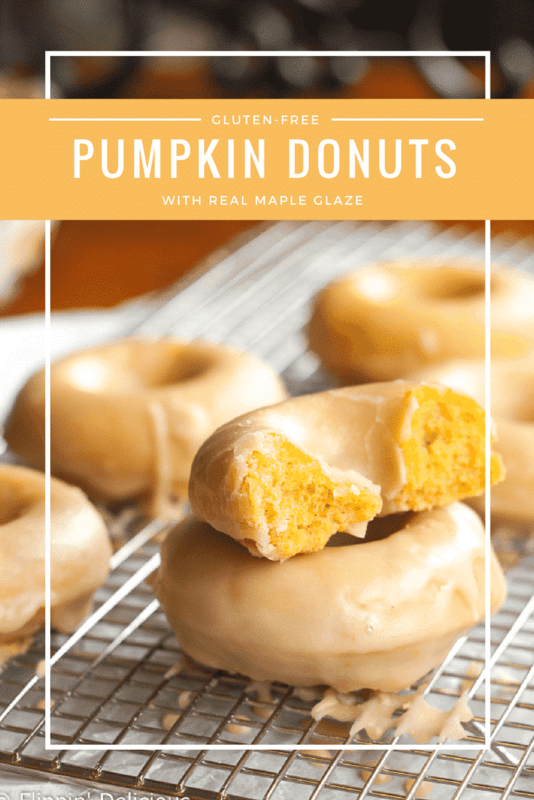 The gluten-free pumpkin donut recipe is the same as my gluten-free pumpkin spice latte donuts, the only difference is the frosting. Normally, I make a single batch of donuts and a half batch of each frosting. Half of the gluten-free pumpkin donuts get coffee glaze for me, and the other half get maple glaze so my kids don’t start bouncing off of walls. Of course, I eat a few of the maple-glazed pumpkins donuts too. 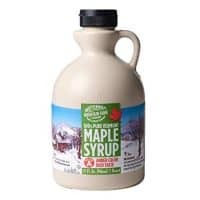 One secret to the maple glaze is to use REAL maple syrup. Don’t skimp and use the fake stuff, the flavor just isn’t the same. I also make my glaze really thick, then I nuke it in the microwave for a few seconds to melt it. 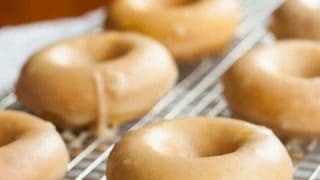 This allows me to dip each donut into the glaze, letting it set up smooth and shiny. The glaze sets up very quickly, so don’t microwave the glaze until you are ready to dip. If you want to add some sprinkles (my girls always do) be sure to add them quickly or they won’t stick. For me, nothing beats a gluten-free pumpkin donut (or two) with a hot pumpkin latte or a glass of your favorite milk. Preheat oven to 425F, Spray your donut pan with nonstick cooking spray. In a mixing bowl whisk or sift together all of the dry ingredients. Add the milk, egg, pumpkin, and oil and mix until combined. Fill each doughnut cup about ⅔ full. 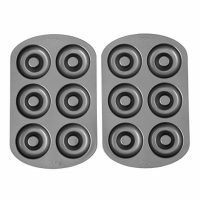 (use a zipper bag with the corner cut off to pipe the batter into the donut pan). Bake for 7-9 minutes or until the doughnuts spring back when touched. Let cool for 4-5 minutes before removing from pan. Mix the powdered sugar and maple syrup together. It will be very thick. Heat in the microwave for approx 30 seconds. Immediately dip each doughnut in the glaze and then let cool. Note: The glaze doesn't reheat very well so don't heat it up until you are all ready to dip. Sounds aboslutely delicious. I maybe clean the bowl out with a spoon…. These look to die for Brianna! And just enough pumpkin to add flavor but avoid being too moist. 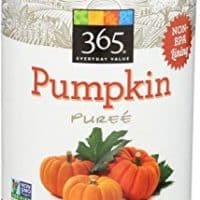 I love anything pumpkin. My daughter does, too. I can see if I made these, I’d have to hide a couple or I won’t get any at all! Wish I had some for breakfast right now. That maple glaze is droolworthy. Yum! I’ve been drooling over your pics for days, girl! You inspired me to go make donuts yesterday, actually! I tried your maple glaze and it was the bomb! Do you put xanthan gum in this recipe? Hi Elaine, I do not find that xanthan gum is necessary for this particular recipe. Those donuts look so so good and delicious. 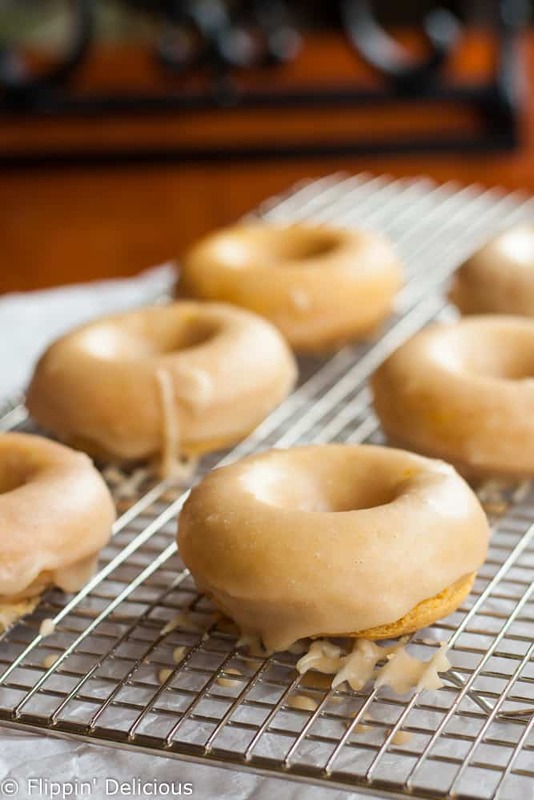 And the maple glaze … I absolutely have to make these! 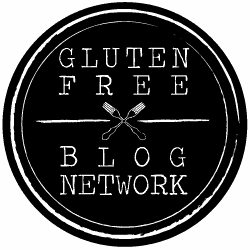 What GF flour should I use? Hi Joni, any good all-purpose gluten-free flour blend should produce similar results. I used my gluten-free flour blend. Oh but for the egg in the recipe these look delish. Can’t do egg here. Can you use regular milk or does it alter the recipe too much? Can you also use Bob’s Red Mill 1 to 1 GF Flour? You absolutely can use regular milk! I used dairy free milk because my daughter is sensitive to dairy, but I bake with both often and have noticed no real difference. I haven’t tested Bob’s Red Mill 1 to 1 flour with this recipe or a similar recipe so I do not know how it would turn out. I believe Bob’s 1 to 1 has xanthan gum in it already, so when you try it be sure to omit any xanthan gum in the recipe. Let me know how they turn out! These gluten and dairy free doughnuts are so good that I would not even announce the lack of said ingredients to people who do not need to know for their diets! (You can’t even tell!) The dough is tender, and the perfect mouthfeel is just like Krispy Kreme hot now doughnuts! But these are better! No gluten. No dairy. Bonus: pumpkin and maple!! They’re even sanity and time friendly—I made them with a two-year-old present, and no mishaps! Y’all enjoy! Thank you, Brianna!! Thank you for leaving a comment, Mary Beth! I’m so happy you enjoyed my recipe. I love when you can’t tell things are gluten-free or dairy free! Better than Krispy Kreme is the highest praise I think a donut can receive! Hello! What kind of oil are you talking about? Cocoa oil! Olive oil? Don’t want to mess this up as it looks sooooo good! I apologize for the delayed response, I was traveling out of the country and just got home. I believe I’ve used vegetable oil and coconut oil for this recipe. Any mild flavored oil will work beautifully!